Today, Taipei Fubon Bank and Pinkoi are hosting a design market called, "Very Fun Park", whose name is actually a play on words. You see, in Taiwan, people sometimes pronounce "very" so that it sounds like "pink", and in this case, the written name for "Very Fun Park" is "Pink Fun Park", but when you say it, it sounds like the colloquial, "Very Fun Park". And, Pinkoi's main color is pink and its name contains the word pink, doesn't it? Very Fun Park has been hosted at 56 Da'an Road, which is a 60-year-old house in the American colonial style, and will be hosted in the month of September every weekend. For many of the designers and handcrafters, this is their first time at a market, their first time standing there all day to meet you! 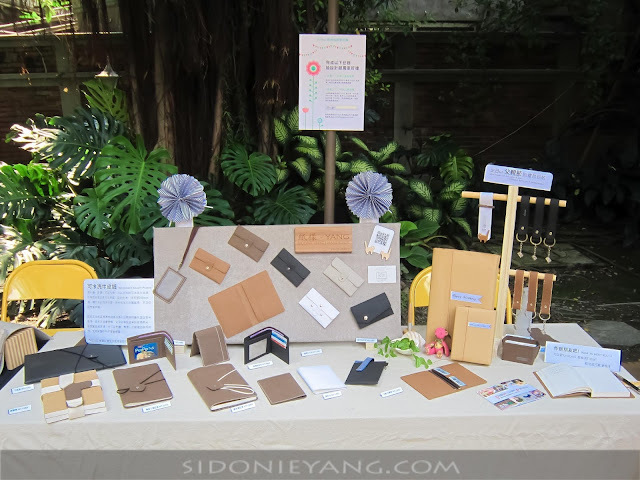 For SIDONIEYANG | HANDMADE, this is our second time participating in a design bazaar, and for this bazaar, we decided that we needed more than just a paper sign displaying our name! Luckily, something beautiful caught Sidonie's eye - bamboo products from "tik á design studio". In Taiwanese, tik á means bamboo, and tik á design studio made some very beautiful laser-cut bamboo products. 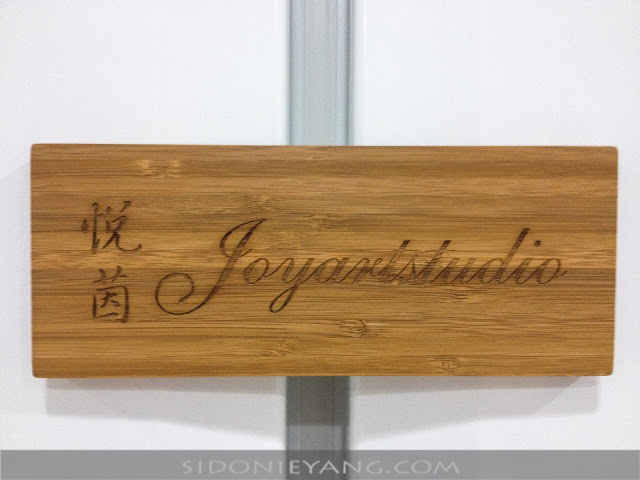 We asked designer, Frank, to laser-cut our name into a magnetic bamboo signboard for us. When we got it back, it was more beautiful than we had hoped for; the beauty of the bamboo shown on every surface, with the SIDONIEYANG | HANDMADE lasered perfectly in the center. On the day that we set up our stall at Very Fun Park, we coincidentally had our stall right beside Frank's tik á design studio! Wow, what a coincidence! We had just received our bamboo sign from him a day earlier. Of course, we took a look at what he had for sale and we couldn't help but buy a couple more things. 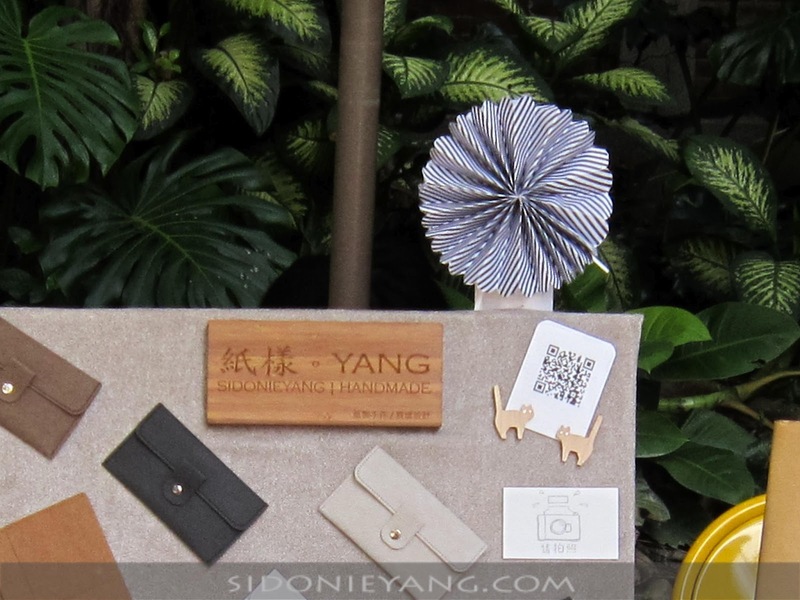 We took home his bamboo business card case and his bamboo clock. We would've taken home his bamboo iPad case, but we don't have an iPad. tik á design studio also custom-made a bamboo shop sign/postcard holder for the designer, Taiwan Hearts. 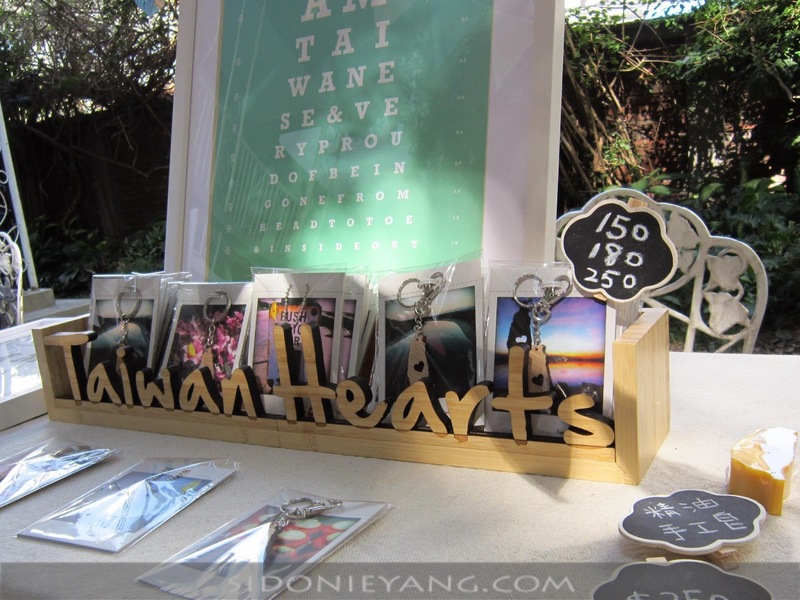 The designer behind Taiwan Hearts is a very lovely Taiwanese girl that spends half her time in San Francisco and half her time in Taipei. But, why did she choose to use Taiwan as her main theme for her designs? Well, she found it strange that people in America confused Taiwan with Thailand... and she loves the land in which she was born... so she decided to use this island as her theme and help more people to discover this lovely island. 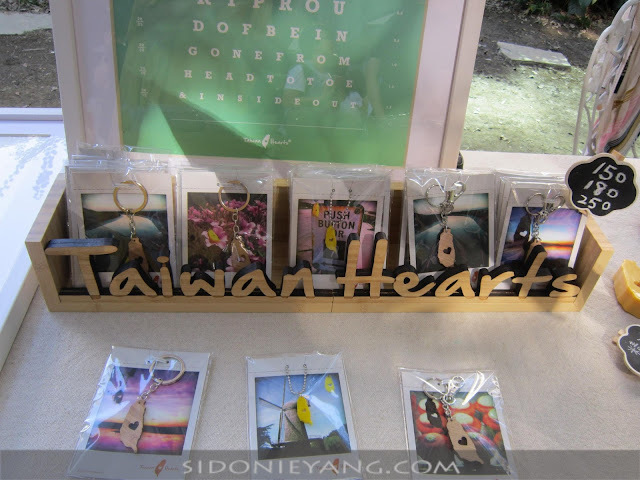 We feel that her products are the perfect gift for anyone who has ever been to Taiwan!